Home Unlabelled NO WAY!! APC Officially Shuts Its Door To Defecting PDP Members. NO WAY!! APC Officially Shuts Its Door To Defecting PDP Members. The All Progressives Congress on Wednesday formally shut its doors against members of the Peoples Democratic Party wishing to join its ranks. The party also enjoined members and leaders of the ruling party to stay where they were and rebuild their party to play its new found role as the main opposition party. It advised the PDP to come to terms with the hard reality that its fortunes had plummeted and that it was now in the opposition. 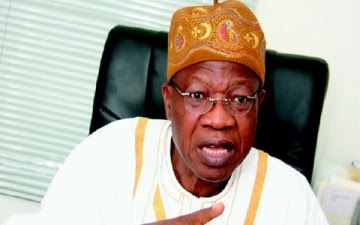 The APC made its position public in a statement signed by its National Publicity Secretary, Alhaji Lai Mohammed, in Abuja. According to the APC, the leadership of the PDP was not even waiting to be approached before fleeing to the APC. Mohammed said, "The PDP leaders and members are falling over themselves shamelessly and swearing undying allegiance to the APC. "Well, in case they did not get the message of the President-elect and our National Chairman, we want to repeat it in very blunt terms: the PDP leaders and members, you are not welcomed in the APC. Is defecting from one party to another a crime under law?they should free them nau....Let them defect and ignore them 100percent.